Senator Rabi’u Musa Kwankwaso has threatened to leave the Peoples Democratic Party (PDP) if the leadership of the party in Abuja removed any member of the Kwankwasiyya movement from the list of its aspirants. Recall that Kwankwaso had held primaries for various elective offices in Kano which were allegedly won by his chosen aspirants, leaving aside other PDP members. A source within the party confided to Daily Trust yesterday that the former governor sounded the warning of leaving the party during a meeting held at Legacy House, Abuja. The meeting, which commenced at 3pm and ended around 5pm, was attended by many PDP stakeholders including Bello Hayatu Gwarzo and Ambassador Aminu Wali among others. According to the source, the meeting was organised to review the list of aspirants from Kano State. The Senator Mas’ud El-Jibril Doguwa-led faction of the PDP had also conducted its primaries where candidates emerged for various offices. It was gathered that in order to have a unified house, the Prince Uche Secondus-led National Working Committee (NWC) brought together all the contending factions with a view to having a win-win situation. The source said, “Kwankwaso told the gathering that any move to remove any member of Kwankwasiyya from the aspirants list will lead to his defection from PDP. 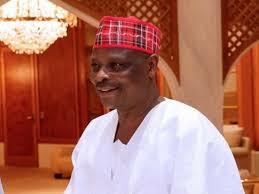 Neither Kwankwaso nor Doguwa faction agreed to accept the terms offered by the leadership of the party,” the source said. According to him, the leadership of the party in its effort to reconcile the aggrieved members, resolved that the national and state assemblies slots be shared 50-50 between the Kwankwaso and Doguwa factions of the party. He, however, said the former minister also failed to reconcile the contending factions and the meeting ended without yielding any positive result. Contacted, a strong pillar of the Kwankwasiyya movement, Aminu Abdulsalam, said he was not aware of the meeting.